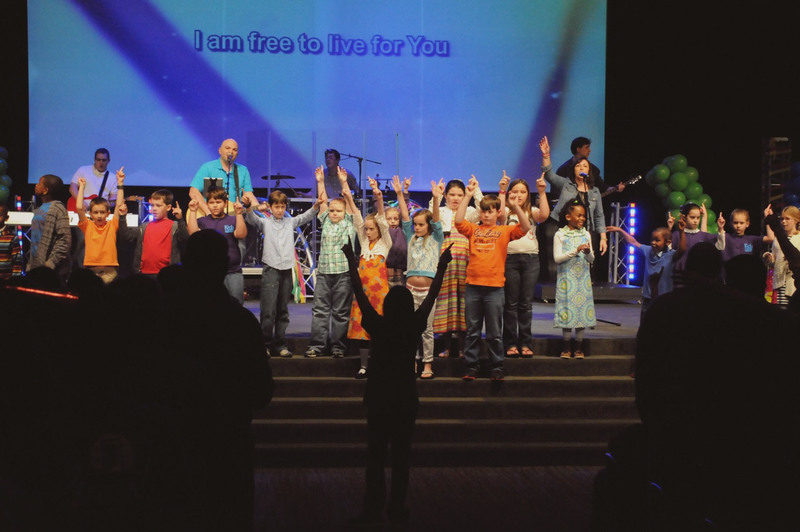 Five years ago, Cedar Creek Church in Aiken, South Carolina, changed the course of its future. That’s when the congregation wrote its last check to the mortgage company and became completely debt free. Around the same time, Cedar Creek began offering Financial Peace University to its members. It also sent John Travis, director of its Finance Ministry, to Dave Ramsey’s Financial Coach Master Series, which trained Travis in financial coaching using the principles Dave teaches. After wiping out its own debt, Cedar Creek wanted the 2,500 members across all three of its campuses to experience their own sense of financial peace and margin to give. In 2010, they found their solution. Travis learned about a training program for church leaders called Momentum, which takes entire congregations through FPU, incorporating a sermon series and lessons for youth and kids. Just as important, Momentum helps transform church culture to one of true stewardship—recognizing that God owns it all and that we’re managers, not owners, of all God’s blessings. Travis, Lee and the three campus pastors attended training in February 2013 and launched Momentum in January 2014. As senior pastor, Lee’s enthusiasm was essential. Both Lee and Travis oversaw the effort across all three campuses, attending every meeting, setting the tone and communicating vision. So how did they make Momentum work in a multisite environment? First, the church implemented tiered leadership. Under Lee and Travis’ guidance, one person oversaw the effort at each campus. Momentum’s structure also includes seven teams, from prayer to education to celebration. Each team included a representative from each campus, ensuring consistency. Home group leaders also served as small group discussion facilitators after each FPU lesson. Cedar Creek chose to send its members through Momentum in their established home groups, which helped create a sense of security around a potentially uncomfortable subject. It also allowed for a built-in accountability structure that continues months after Momentum has ended. Second, Cedar Creek synchronized its campuses. Prior to Momentum, the main campus was a week ahead, but for Momentum’s launch day, Cedar Creek unveiled livestreaming of its services. Rachel Cruze, Dave Ramsey’s daughter and co-author of the New York Times best-seller Smart Money Smart Kids, also spoke live at the event from the main campus. Couple that with exploding streamers and lots of confetti, and Cedar Creek had its members fired up to hear God’s Word on finances. Lee didn’t dive right into the five Momentum sermons, though. Because FPU lasts nine weeks, he began Momentum with his own four-week sermon series called Beautiful Obedience. It focused on the peace that comes through obedience to God rather than the obligation we can sometimes feel. By the end of Momentum, Cedar Creek’s members saw a huge turnaround in their personal finances, putting them on track to join the church in debt freedom. Besides numbers, though, the effort produced members who are now excited about managing their finances biblically and embracing generosity. Are you ready to create a culture of radical generosity in your church? 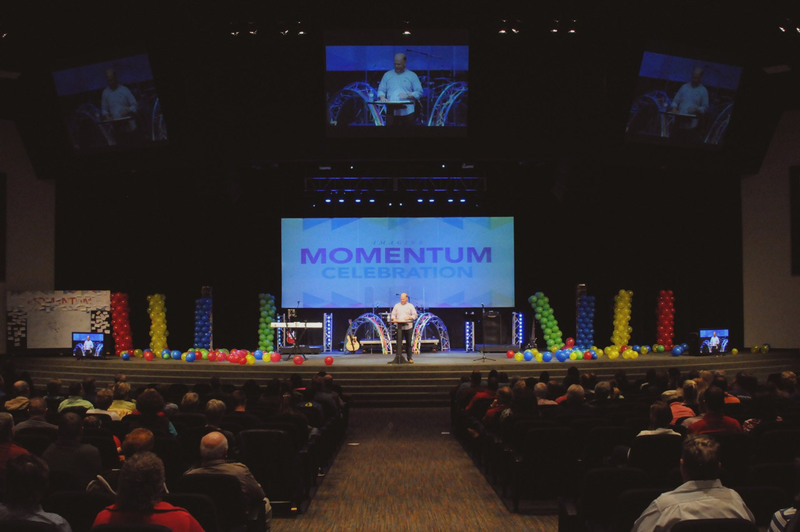 Learn how Momentum can help your congregation.